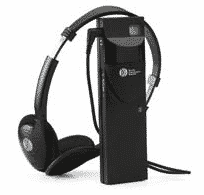 The availability of portable interpreter booths is essential for any company supplying simultaneous interpreting services. There are halls equipped with built-in permanent interpreting booths but, on occasions, conferences requiring interpreters have to be held in halls or venues where there aren’t any permanent interpreting booths. Interpreters need these booths for their work as they keep out ambient noise and the noise of other interpreters working into other languages. Our company has portable interpreting booths in accordance with ISO Standard 4043, which sets their features, dimensions, soundproofing, internal ventilation, visibility and comfort. We transport and assemble them and provide you with a specialised sound technician who will be present during the entire event. 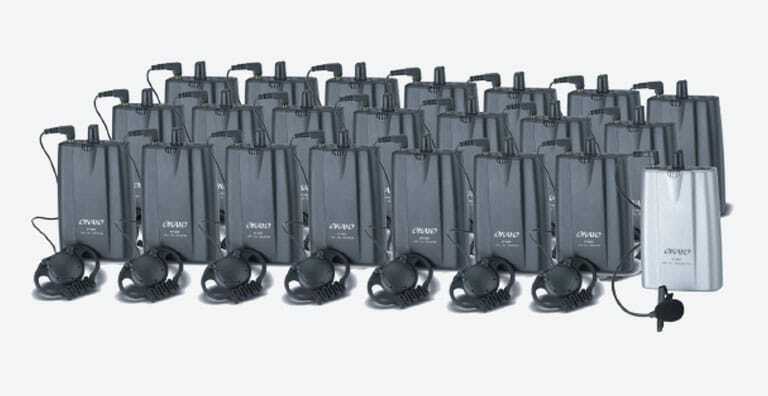 Similarly, we have portable equipment for guided tours and booth-free simultaneous interpreting, a lightweight wireless system designed for easy handling, allowing the guide or speaker’s voice to be clearly heard by each of the group members who are equipped with one of the receivers. The system effectively blocks background noise and reverberations, can be used wherever needed and has fully reliable sound. Our technical department also offers you the option of renting all kinds of equipment including audio, video, IT, projection and lighting, etc. Speak with us to receive further information and we will gladly help you in organising your event. If you have questions on what equipment is most suitable for your event based on the room/hall features, the number of attendees, etc., we can offer you our experience and support for achieving the best result matching your needs at the best price.